HOUSTON — A sprawling private ranch in southeast Texas will be converted into a state park with the assistance of a fund created in the wake of the 2010 Deepwater Horizon oil spill, the Texas Parks and Wildlife Foundation announced Thursday. 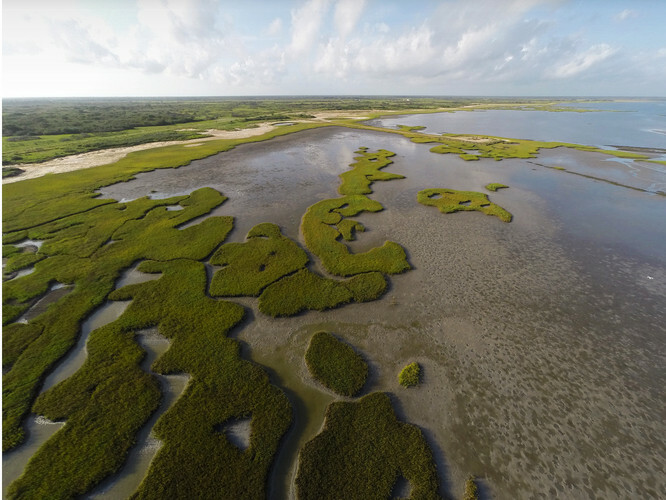 The $37.7 million purchase of the Powderhorn Ranch, 75 miles northeast of Corpus Christi, is the highest price ever paid for a Texas conservation project and the biggest land acquisition so far using BP spill restoration dollars. The state agency said it has been plotting for more than three decades with the Conservation Fund, the Nature Conservancy and other groups on how to acquire the ranch. Some $32 million came from a fund created by BP and Transocean following the Macondo well blowout on the Deepwater Horizon drilling rig that killed 11 people and caused the largest marine oil spill in history. An additional $12 million was raised for habitat restoration and management and a long-term endowment. The Conservation Fund and the Nature Conservancy of Texas each provided $10 million, and the balance of the $50 million project was provided through private donations. Dan Friedkin, chairman emeritus of the Texas Parks and Wildlife Commission’s chairman and the billionaire owner and chairman of Gulf States Toyota, said the acquisition also creates an “exciting new recreational opportunity” for hunting, fishing and bird-watching. The 17,351-acre property along the Texas coast in Calhoun County contains freshwater wetlands, salt marshes, tidal flats, oyster beds and live oak forests, and is hoped to become a wintertime refuge for the endangered whooping crane. Aside from serving as a buffer for nearby communities from storm surge, the new park will play “an important role in protecting the integrity” of Matagorda Bay, said Carter Smith, the executive director of Texas Parks and Wildlife Foundation. “The size and scale and diversity of the ranch are really almost unparalleled,” he said. The purchase is particularly significant for Texas, where 95 percent of land is privately owned. The Texas Parks and Wildlife Foundation estimates as much as 99 percent of the coastal plan in Texas has been lost to agriculture or animal grazing. The sellers of the property were Cumberland & Western Resources, a limited-liability corporation managed by Wyoming billionaire Brad Kelley, among the largest private landowners in the U.S., and his Florida-based business manager, Greg Betterton, according to the Texas Comptroller of Public Accounts. According to Smith, the property drew the interest of a handful of buyers willing to pay more than the conservationists to use the ranch for commercial purposes, but the owners’ “preference was to see a conservation-related outcome,” and were willing to sell it below market value to achieve that aim.